Where to buy a dog online? Well I reckon you’re thinking about getting a puppy online…. No doubt about it, it is a serious decision, and as I am sure you are discovering, it is no easy matter! The first thing to know is that nowadays buying a puppy almost always starts by finding it online, but does not necessarily mean you will finally buy the puppy online. Especially as some of these sites help you find, buy or adopt a puppy in different ways. Confused? Well we aim to help lessen your struggle and set you on the right path. We want to help you understand the range of options out there, and make it easier for you to find the right place, right service, and of course right puppy! Like the old newspapers adverts, these sites offer a venue for advertisers to place their puppies for a larger audience to see. You will have to contact the advertiser or breeder direct. The website you see the puppy on has little or no involvement. Seeing eCommerce in relation to puppies may seem scary. But what this means is that to find a puppy, you deal direct with the site, not the breeder, and buy it through their website. There is only one serious marketplace out there, which combines the best of both of the above. You can contact the breeder advertised on the site, but pay through the site for added security. Now that’s settled, let’s get down to the nitty gritty….. Most of you will have heard of the American Kennel Club and the prestige that surrounds it for breeders in the U.S, so a marketplace for AKC verified breeders does sound posh! And you know you are going to get in touch with a real registered breeder, and will only be looking at purebred pups. However the AKC Marketplace is really a classified site for breeders to advertise independently from site verification, they only need to prove they are a registered breeder. Choices, Choices - Very large selection, in the region of 9000 puppies / litters. Just about every breed you could think of. How about the Breeders and Pups? - All Breeders are AKC registered, and the pups are from AKC registered litters. Payment system and Guarantee - This depends on the breeder you contact, could be paypal, could be bank order, or cash in hand. A health guarantee of 1 year is typical. Handy Help - You deal directly with the breeder, limited email contact with the AKC. Delivering the Doggie - Again it’s all up to you and the breeder, could be pickup, flights to arrange, and basically just within the U.S. Ethical Matters - In those pesky T & C’s, they do say that AKC registration does not indicate the health, quality or value of a dog. AKC registration simply identifies the dog as offspring of a known registered sire and dam. There is no guarantee from this site that you will get a healthy pup. Unique Feature - We said it before but the fact that they are “the only site to exclusively list 100% AKC puppies from AKC-Registered litters” - really does set them apart from the rest. If you are in the good old U.S.A. and are searching for a guaranteed purebred puppy from a breeder not too far away then there is no doubt about, the AKC Marketplace has one of the greatest ranges and options. But be aware there are no guarantees on the site, no secure payment online, no verified info on dogs; so check, check, check everything with the breeder before you decide. Nextdaypets is another classified site for a breeder to advertise their pups, again based in the U.S. They do go the extra mile to present lots of info and advice on how to avoid making mistakes and make the perfect puppy decision. Choices, Choices - A large range of advertisements with 350 breeds listed. Site 101 - Though it has a standard search system with the bonus of a search by ‘dog group’, there is some confusion about whether you need to register or pay to use certain features. How about the Breeders and Pups? - Here’s a key hidden point - any breeder can advertise here. They highlight the ‘ID’ verification they use, but this checks only things like location and bank accounts. This does not actually prove someone is a breeder, only that they are a real person, which does at the least reduce the risk of being a victim of a scam. Payment system and Guarantee - In the T & C’s they state they have no control over the transaction process between the buyer and the breeder. Petpay is offered, which is a secure system like Paypal, but seems few breeders accept this. Ethical Matters - Nextdaypets does offer advice on how to choose a ‘professional breeder’, as well as pets for adoption, but they do admit they have no control over any aspects of the listings. Unique Feature - The Puppy Match Service - Here you can enter Lifestyle information such as the number of children you have, and then breeders can review whether their pups are suitable, and it will match the right breeder and the right puppy for you. Breeders not verified, danger of poor quality. Nextdaypets is a good site in terms of the range of pups and the info they provide. For research when starting your search for a puppy it is a good place to look, and the option is there if you wish to adopt. The main sticking point is that while breeders are ‘id screened’ to help avoid scams in reality the breeders on their site are not properly approved or inspected. A U.K site that is upfront about being a classified, offering advertising for all sorts of animals, from little rabbits to big horses, as well as puppies of course. Choices, Choices - A big number of advertisements, with a large variety of animals, but still many dogs and pups available. Site 101 - It is very easy to search, and there is very clear contact info for the advert lister. How about the Breeders and Pups? - Here’s the sticking point. Pets4Homes do not visit any of the advertisers homes or do any checks on the advertisers, therefore, it is the buyer’s responsibility to make any necessary checks before buying or adopting a pet. Their advert listers do not have to be registered or offer a pedigree. Handy Help - There is limited contact to the site, and no phone number listed. It is all about direct contact with the ‘breeder’ or pet owner. Delivering the Doggie - This site is UK based, and the majority of the delivery range if within Britain. Unique Feature - Pet Wanted - you can advertise that you are looking for a particular pet, and be contacted by someone who has what you want. So they come to you, rather than you going to them. Pets4Homes may be a better place if you are looking for ‘any’ puppy or pet to buy or adopt, as it is more of a casual, middle of the road site. 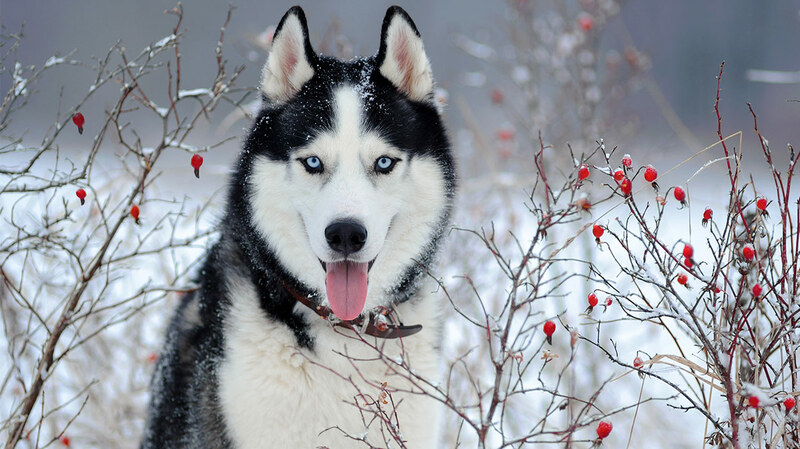 For a dog lover looking for a perfect purebred pup it may be a place where you can find some around, but is far from the most obvious and professional place to look for quality breeders. A classified site visited by around 70,000 people per day, PuppyFind offers a wide range of breeders, and unlike some classifieds does offer advice on choosing a breeder, and how to find the best puppy for you. However of all the sites in this article, it has possibly the most mixed reputation online. Choices, Choices - Over 50,000 puppies for sale, so undeniably a huge choice. Site 101 - Simple to search, but a little difficult to find info on the puppy buying process work, and what type of breeders they advertise. How about the Breeders and Pups? - They do not pre-screen advertisers on their site, so there is low certainty on what type of breeder you are contacting, you need to do your homework here to minimize risk. Payment system and Guarantee - Always arranged with breeder. Health guarantees vary, 1 year is common. Handy Help - Limited access to any online support, just direct contact with advertiser. Delivering the Doggie - They state it is worldwide, but it appears not many breeders offer this. 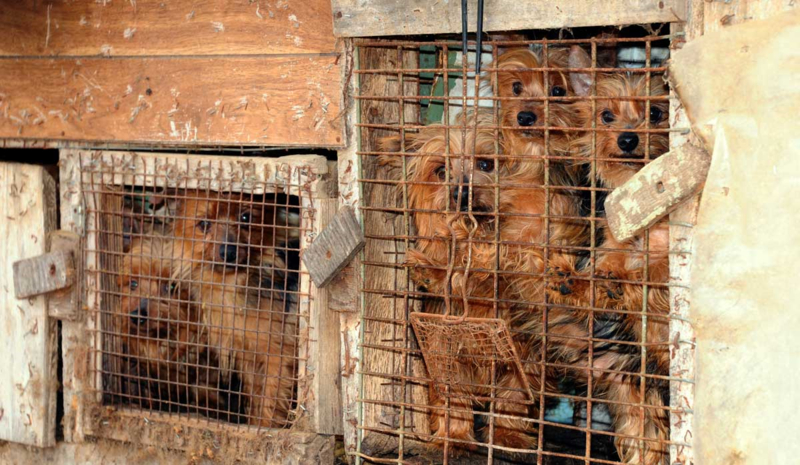 Ethical Matters - As mentioned advertisers are not screened or approved, and PuppyFind have been accused of falsely inflating seller ratings and cherry-picking uniformly positive reviews about these breeders, and there is even suggestions online that they worked with breeders that had been convicted of animal cruelty. Honestly there isn’t anything too special offered with this site, it has a fairly standard classified style. For the range and scale of choice of breeders available it is a good place to start looking around, and also perhaps contacting breeders to learning how the system works. But be warned that just about anyone can advertise on this site, and PuppyFind offers no guarantees. PuppySpot is a very modern, stylish and effective looking site, possibly the most sleek of all in this blog. The big difference here is unlike the classifieds we have gone through before, you deal with PuppySpot direct to find, reserve and get your puppy. And they appear, on the surface at least to be very serious in terms of breeder quality. Choices, Choices - A very large range but only within the US. Site 101 - Very user friendly site. Modern, clear and easy to use. How about the Breeders and Pups? - As well as purebred pups PuppySpot also offer ‘designer’ breeders which are not official pedigree breeds. Payment system and Guarantee - You pay securely through the site, and they pay the breeder, and they have a health guarantee. Handy Help - Can contact the team for help and advice when choosing a pup, and for support after the sale too. Delivering the Doggie - They do the leg work to organise delivery, but only within the US. Ethical Matters - They have an anti Puppy Mill policy, and appear to present honest reviews, with both positive and negative on the site. Unique Feature - ‘Community Financing’ - they have options to pay for a puppy in installments. Handy if you are low on immediate funds! Breeders upload all info and photos, not PuppySpot and you cannot contact the breeder. For someone who wants help and assistance to find a purebred puppy, with most of the work done by someone else, this could be the choice. PuppySpot is not a classified so you pay through them and get a guarantee. But they are US based and according to some reviews their after sales care can be patchy. A specialist site offering just purebred puppies from Europe and set up 16 years ago, so longer established than some of these sites. They have inspected all the breeders and pups that are on their site, the only one in this article to do so. Many breeds and pups available and offer personal support on finding and choosing a puppy through their site. Choices, Choices - Large range of breeds, good number of pups, especially from the most popular breeds. Site 101 - Modern, friendly site, easy to understand how they work, and to search for a puppy. How about the Breeders and Pups? - Purely purebred puppies, and all the breeders have been visited in person by the Euro Puppy team, and the puppies inspected before being placed on the site. Payment system and Guarantee - Can reserve securely through site, and only pay in full at 12 weeks, and they have a lifetime health guarantee. Handy Help - They have a sales team to help find a choose a puppy, and a Customer Support Specialist for after purchase, until the pup arrives. Delivering the Doggie - Euro Puppy has a Logistics team that organizes all deliveries, and will ship worldwide. Ethical Matters - Euro Puppy themselves place the puppy adverts on their site, and only from puppy’s that they have chosen after visiting in person. They do not allow contact with the breeder directly, mainly due to the language barrier with the breeders in Europe. Unique Feature - Unlike anywhere else which offers no guarantee, or a short term one, they have a ‘lifetime health guarantee’ for all their puppies. You cannot contact breeder, but they do have support team that will help with all requests. Euro Puppy is unique in that they visit all the puppy’s on their site beforehand, and know and approve all the breeders that are on their site. They have a high level of customer service, almost everything is done for you once you reserve, and they are the most comprehensive in delivering to anywhere. If you cannot find the perfect puppy near to you or need help to find and get that puppy to you Euro Puppy would be a good choice. A new online site to find your puppy. On the surface it may look similar to some of the others. But the unique and radical thing is that it is neither a classified nor an eCommerce site. It is a marketplace where approved breeders advertise their pup, and you contact them to arrange everything, but you can pay through the Wuuff site, giving you the added security benefits. They also present a wealth of information, with a lot of detail on the breeder, and the parents of the puppies listed. Choices, Choices - There are around 1500 breeders, mostly throughout Europe. Site 101 - Has a modern and professional feel, very easy to search a puppy, and clearly presents all the info you need on how this unique site works. How about the Breeders and Pups? - Purebred puppies only, and all breeders are approved before joining the site. Payment system and Guarantee - Can pay through the Wuuff site and the breeder receives their money only after you receive the puppy. Handy Help - You contact a breeder directly, but can call or email the Wuuff team for help. Ethical Matters - Wuuff places a very strong focus on ensuring a puppy buyer finds the right puppy. They provide an unusually large wealth of information on the puppy, as well as the parents and bloodlines, and the breeder too. Unique Feature - Wuuff Payment Guarantee. While you contact the breeder directly to choose a puppy, you can pay through the Wuuff Site. Payment through Wuuff guarantees the breeder is paid only when you receive the dog you chose. New site, low on visitors so far, but already with a growing number of breeders signing up. Breeders are mainly in Europe, but they plan to expand to a more worldwide variety. 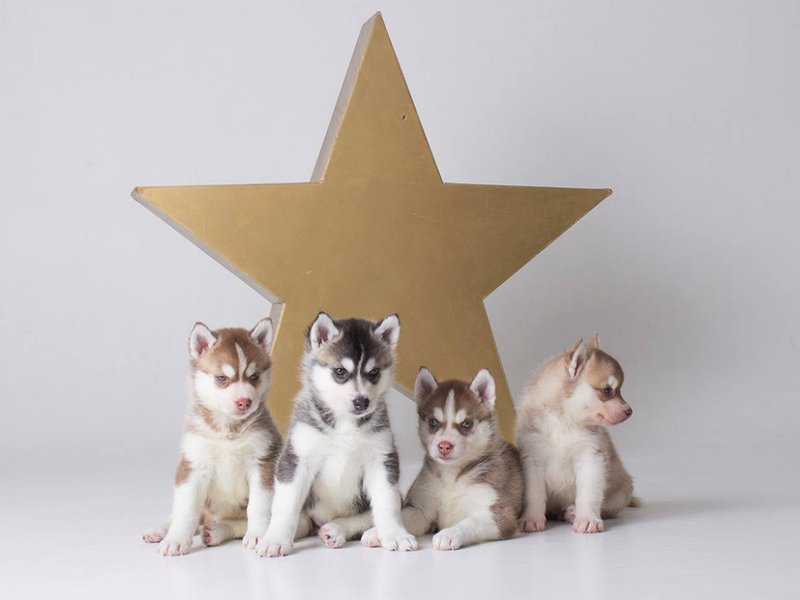 A unique site where you have the benefit of discussing direct with the breeder to choose the perfect puppy, but with the security of paying through the Wuuff site, to ensure you are guaranteed the dog you chose. A very new site, but one that looks like it is already growing. If you are looking for a purebred puppy, and want to make sure you get exactly the pup you chose, without any worry of scams, then this is an ideal choice. These 8 sites offer some of the best options, and plenty of variety, and are great starting point for finding your puppy online. But before you go, make sure you don’t stop with this article! Do your research, ask questions, and before you commit to the online option, consider those puppies waiting at a breeder near to you that you can visit in person, or of course those dogs up for adoption in shelters. Remember going online to find a puppy is the logical first step, but buying online or choosing a breeder through an advert on a classified, should be done only if you cannot find a puppy out there first hand, or if you are looking for that particular, perfect, purebred puppy. "Some people say we, humans don’t even deserve dogs after all that they do for us, all the unconditional love and acceptance we get from them..."
Why choose a puppy from Wuuff? "Having a healthy and happy dog in your life who puts a smile on your face every morning you wake up is a gift, not an entitlement."